When you are visiting Interlaken and the Swiss Alps, be sure you don’t miss this hidden spot. 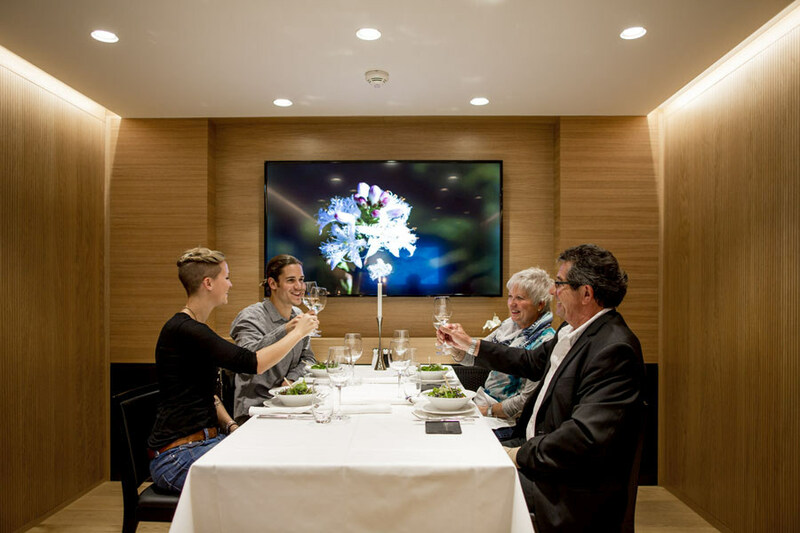 Discover the restaurant 30 meter (100ft) INSIDE the mountain: Enjoy a delicious meal with a fine selection of European wine. 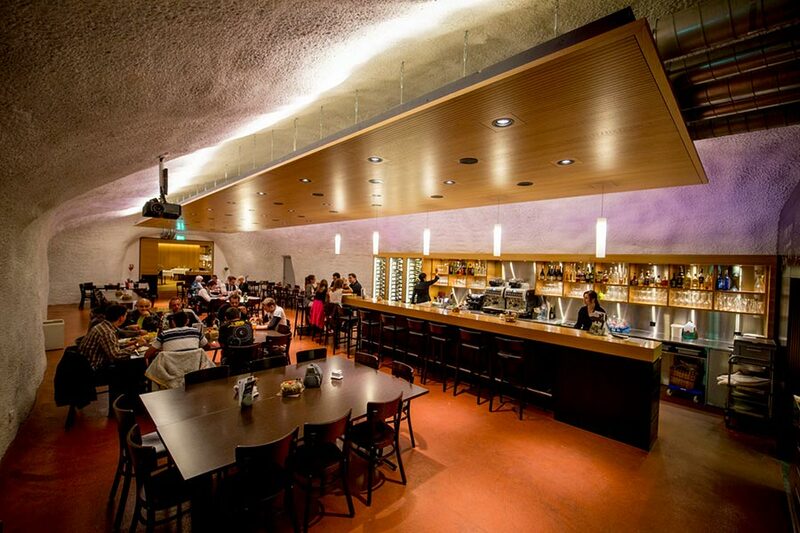 Or just order some snacks with cool drinks – surrounded by the rock! 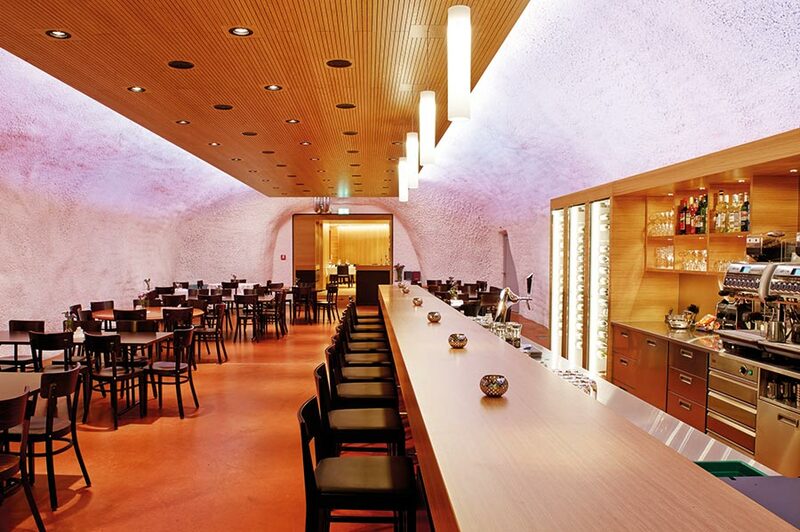 The underground restaurant is situated only one driving minute from the popular Brünig Pass road. You reach the free parking lots in only 30 minutes from Interlaken or Lucerne. 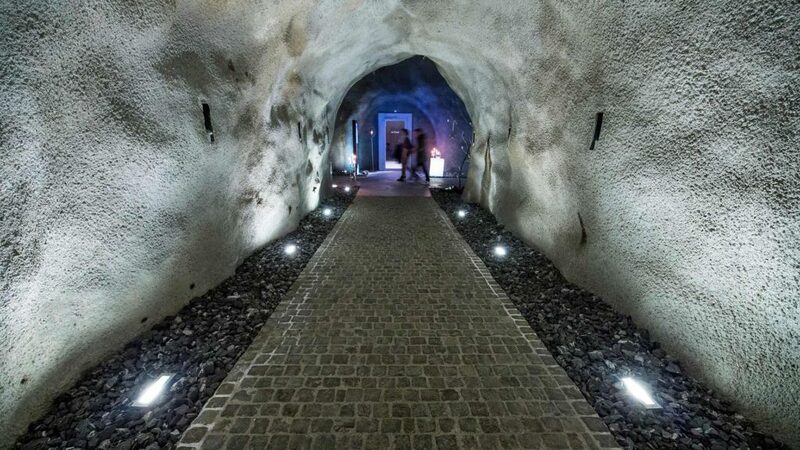 The Cantina Caverna is truly a one of a kind restaurant with great dining and a unique setting inside the mountain! Imagine enjoying a delicious meal inside the mountain. The cantina caverna is a truly unique experience. We enjoyed the delicious lunch menu which workers from the local company were eating too. 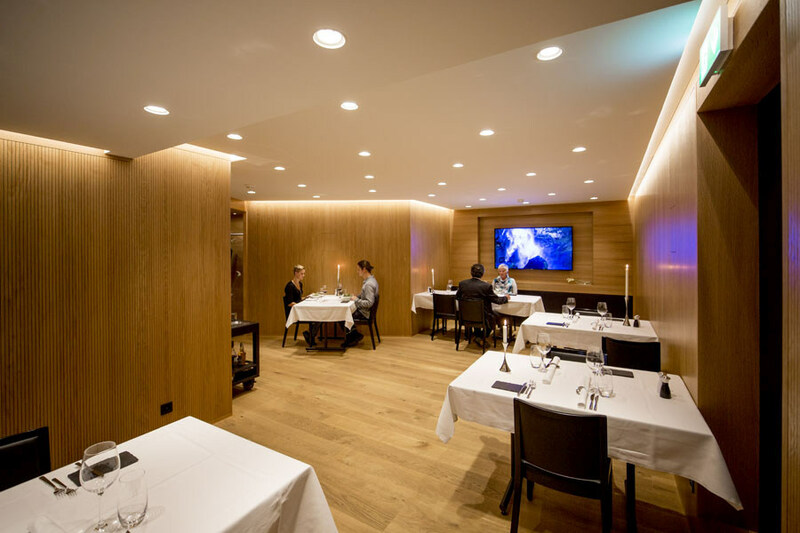 The food was delicious and the service too notch but the setting was what made the experience so unforgettable! 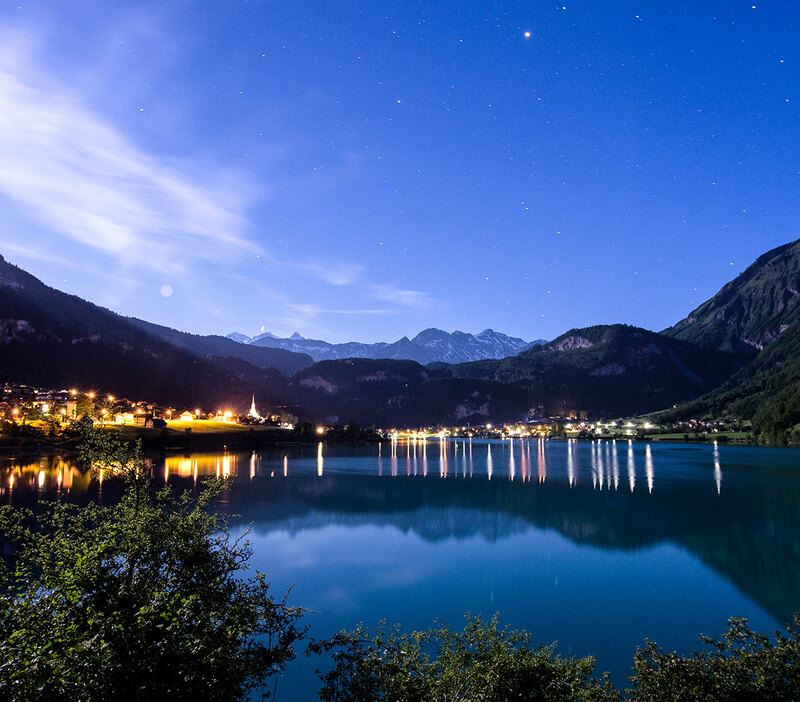 You may have already heard from the famous view over the mountain village Lungern and the amazing Lake Lungern. Only 30 minutes of driving away from Interlaken or Lucerne, it’s very easy to reach. 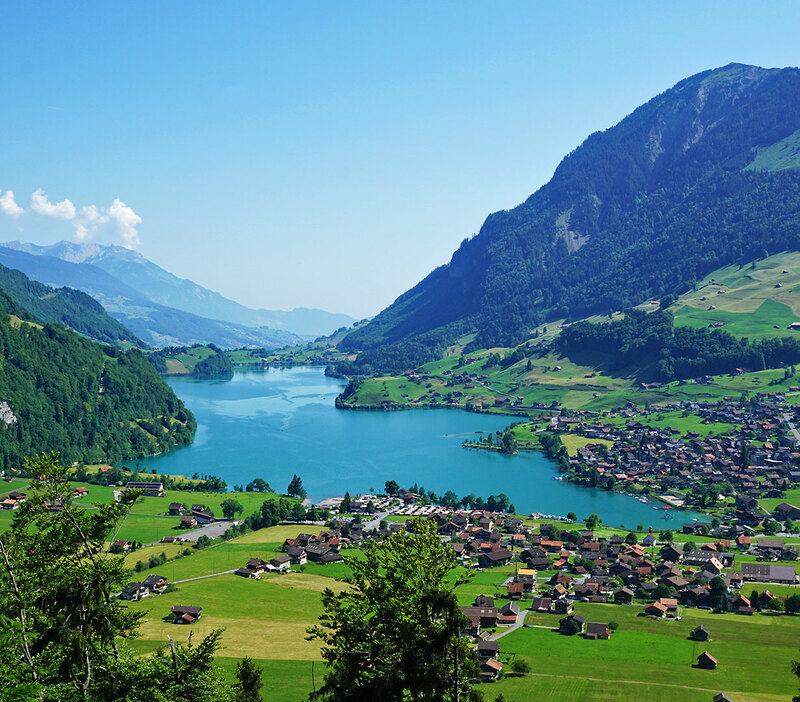 Coming from Interlaken, you can enjoy the stunning view from the Brünig Pass Viewing Point first. Afterwards you should visit the original Swiss village Lungern. Lungern (750 m above sea level. M.), at the foot of the Brünig Pass offers unspoiled nature, relaxation and fun. Lungern shines with hospitality and culinary specialties of the region. Arrive and feel good – in hotels, apartments or sleeping in the straw. Here you can take the cable car to the local mountain Turren or refresh yourself in the turquoise Lake Lungern. The lake is also very popular for fishing. Local recommendation: From Interlaken and Lucerne you can reach Lungern with the spectacular panoramic train. Bad weather conditions? 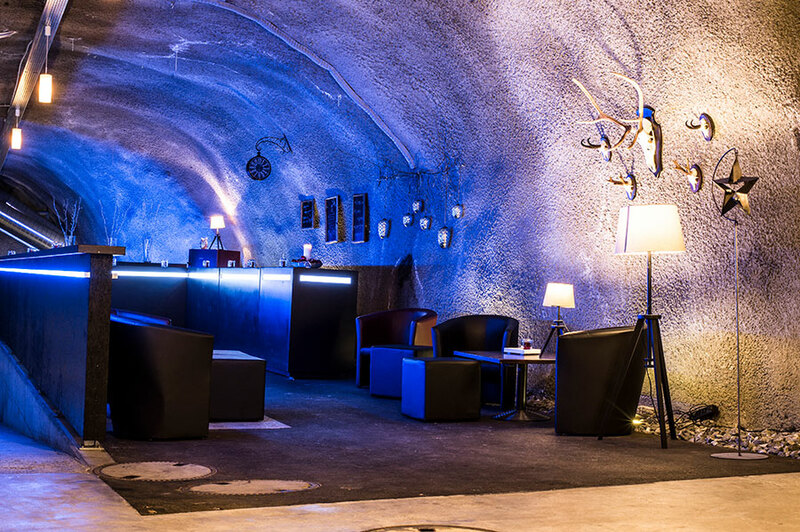 Inside the rock of the Mount Brünig you find a Shooting Range called Brünig Indoor. 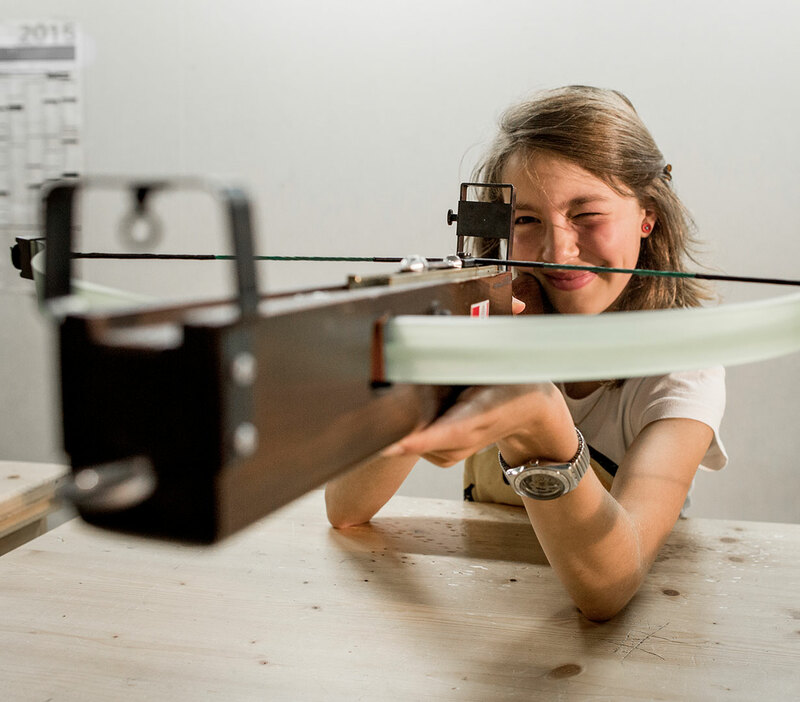 If you do a reservation, you can discover traditional Swiss sports like crossbow, bow and arrow or even sharp shooting.